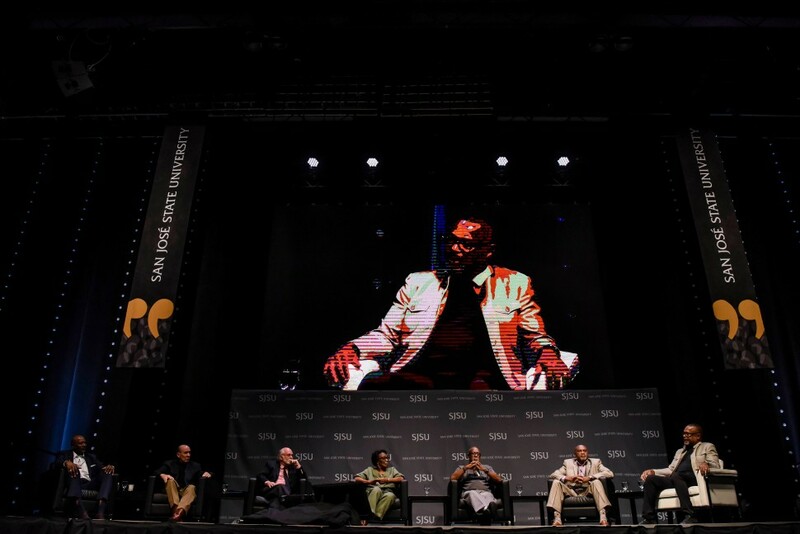 Smith and Carlos were part of a panel discussion Wednesday at their alma mater, San Jose State, to commemorate the 50th anniversary of their iconic protest at the Mexico City Games. The sprinters, discussing their black-gloved protest at the 1968 Games, said the threats they had received in the lead-up to the Olympics, to say nothing of what they'd experienced growing up in segregated America, left them numb to the possibility of something else happening when they raised their fists after finishing first and third in the 200 meters on Oct. 16, 1968. "My thoughts were, once you make the statement, whether you live or die, they can never take the statement away," Carlos said. 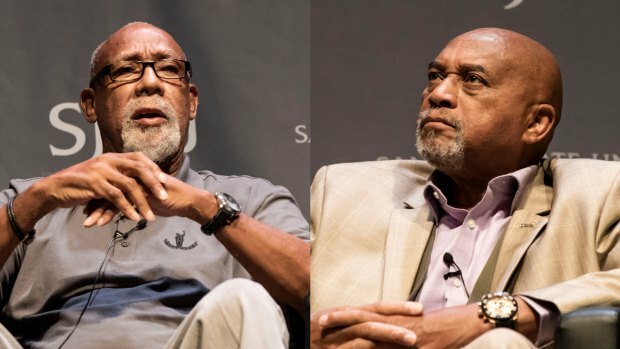 John Carlos (left) and Tommie Smith (right) speak at San Jose State University on Oct. 17, 2018. "When they got on the victory stand, we were wondering, what are they going to do?" said panelist Wyomia Tyus, the two-time women's 100-meter Olympic champion, who dedicated her 1968 relay gold medal to Smith and Carlos. 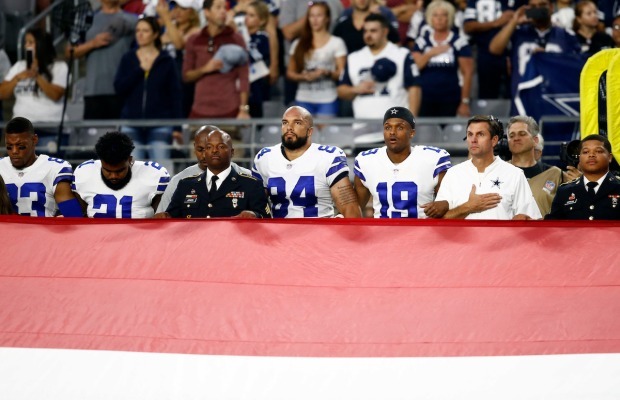 "When the national anthem started and they did this, the stadium got completely quiet. It was eerie. No one was saying anything. You could hear people talking, hear people booing, hear people whistling, hear people cheering. "I thought, I hope nothing happens to them.'" While there was no violence, Smith and Carlos were sent home by the U.S. Olympic Committee the next day, not to be fully welcomed back into the fold until only a few years ago. "The real fear was that there was no room for expression," said Paul Hoffman, a rower who was part of the Olympic Project for Human Rights, the movement led by sociologist Harry Edwards that sparked the Mexico City protest. Smith said by the time he arrived in Mexico City, the issue had "gone beyond fear for me." "My interest was the quietness," he said. "And, I've said this before, but it was very sad, nationally, that two young black athletes had to do what they were doing to bring attention to the (issues) in our country. We had to sacrifice to prove a point. We were vilified because we had to do this." Though neither runner had publicly previewed what he going to do after winning his medal in the 200 meters, Carlos said he anticipated the stunned silence that did, in fact, envelop the stadium. In a year in which two American leaders — Martin Luther King Jr. and Bobby Kennedy — had already been assassinated, Carlos had some bone-chilling words of advice for his friend before they walked out for the national anthem. "I said, 'We're trained to listen to the gun,'" Carlos said. "When we go out and do what we do, everyone's going to be in shock. Everyone became deadly silent. I said: 'Tommie, if they're going to shoot, they're going to shoot in that void. Listen to the gun. We've been trained.' Fortunately, God got us through that."